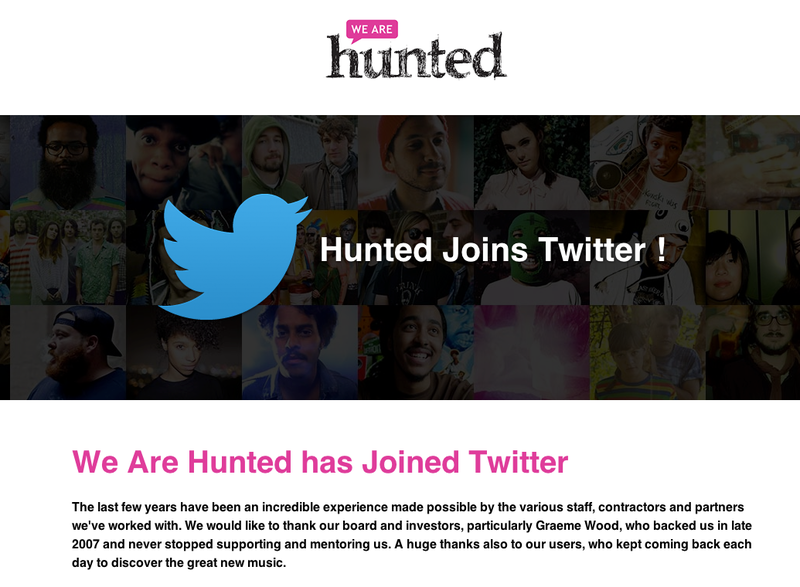 Today, music discovery service We Are Hunted confirmed what has been rumored for quite a while, that it had been acquired by Twitter. Since Seacrest also hosts the radio show “American Top 40,” there’s no shock that the app found its way into his hands. Given the fact that he points out “trending” songs, perhaps there will be some sort of integration between his show and the yet-to-be-released app. Twitter Top 40, anyone? This is a sign that Twitter is becoming a hub for all media: news, photos, videos and now music. All of the pieces are falling into place, and the platform is strong enough to handle all of it now, probably for the first time. Instead of relying on third-party services to bring the content to the platform, the tools are being built to share and interact with the content within the platform. Does this mean that Twitter is morphing into a “media company?” Not really, but it is most certainly a platform that now supports all of the top media types. There are a lot of possibilities that come along with a standalone music app, most importantly a new revenue source. With enhanced Twitter Cards, fans of music would be able to find the music that their friends are sharing, buy tracks on the spot and re-share it. This is something that record labels are frothing at the mouth for. While Spotify’s special relationship with Facebook means that music can also easily be shared, it’s not always in a public way. Twitter does have a private account option, but it is seen as a public place to share what you’re up to with pretty much everyone. If you have a beta version of Twitter’s music app, screenshots are always welcome.